As Montanans enjoyed the clear, blue skies of early fall, UM’s Cathy Whitlock and Philip Higuera joined Dave Dittloff, National Wildlife Federation Conservation Partnerships director, in a conversation about the perceptions and realities of wildfire in the West. As paleo-ecologists, Whitlock and Higuera study past wildfires to better understand fire behavior. But what they see is that wildfires today are very different because of the Earth’s changing climate. As the average global temperature increases, there are more summer days with temperatures above 90 degrees, which accelerates drought and lengthens the fire season. The effect is most noticeable in northern regions, such as Montana, where cooler and wetter in the not-so-distant past, Whitlock said. Higuera cited a number of studies showing that the length of the fire season has almost tripled since the late 1970s and it’s just going to increase. The longer the fire season, the greater the chance that more areas will burn. Already, Westerners are living with the change. Fires flare up earlier in the summer, burn longer and burn bigger. Higuera said that since the 1980s, the area consumed each year by wildfires is 10 times larger than the area that the Forest Service can log, thin, burn or restore. Whitlock and Higuera agreed that because wildfires are going to happen with increasing regularity as summers get hotter and drier, the Forest Service should use them as a tool to restore forest health. As long as they don’t threaten lives, wildfires can burn out all the dead wood and excess vegetation, setting the stage for a more healthy ecosystem. Treatment projects tend to be small due to funding limits. So they should be focused on areas around people’s homes where they can make a difference, Higuera said. 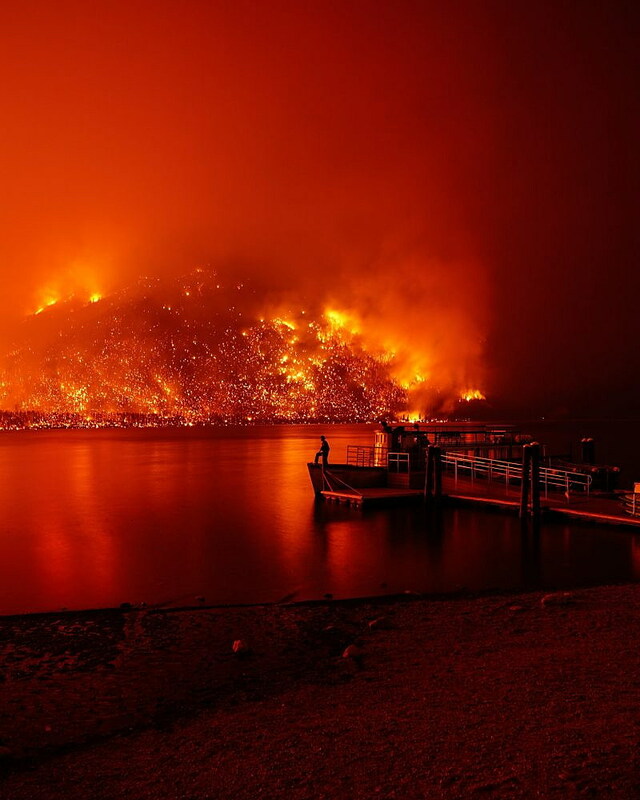 The human factor can be a problem because people expect the Forest Service to put fires out. Also, too many people are building their homes in forested areas – the wildland-urban interface – that are bound to burn. In any given wildfire, firefighters spend an increasing amount of time and effort and risk lives to save homes rather than fighting fire. Since 1990, 2 million new homes have been built in the wildland-urban interface – mostly in fire-prone low-elevation forests. Already 900,000 homes are in zones of high fire risk. By 2040, it is projected that 40 percent of the WUI will have an increased risk of burning, according to a 2015 University of Colorado study. “I think that’s where the conversation needs to focus,” Whitlock said. Education is needed to make people aware of the threats so they don’t build in risk-prone areas, but also so they understand the positive aspects of wildfire. Americans need to accept the inevitability of fire like they accept the inevitability of earthquakes or tornadoes, Higuera said. “The forests are continually adapting to climate change and one way is by burning. I think what we’re seeing is the forests are equilibrating to climate change. The trouble is the climate is still changing. But these fires really should be thought of as a natural ecological process of adjusting to a new climate,” Whitlock said.